Project Summary: Nigeria has one of the highest number of out of school children in the world, with almost 10.5 million school-age children not in school, according to the most recent UNICEF report. About 60% of these out-of-school children are girls, demonstrating a huge gender gap in Nigeria’s education system. In response to these challenges, in 2014 the Federal Government of Nigeria passed the Universal Basic Education (UBE) Act, which promises all children in Nigeria access to free basic education. However, the UBE Act does not currently cover the years that have the highest dropout rates for girls, typically due to factors like early marriage and economic constraints. Often, the inability of the parents/guardians to pay school fees forces girls to drop out of school. The funding of basic education is largely the responsibility of each state and local government, while the Federal Government agreed to contribute 2% of its funds from its Consolidated Revenue Fund (about N344 billion) to be evenly distributed to all 36 States and the Federal Capital Territory to finance the UBE Act. So far these funds have not been equally distributed and over N59 billion remains un-accessed by all States. 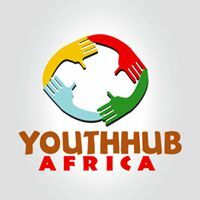 To address these issues, Youth Hub Africa (YHA) will advocate for the expansion of the UBE Act, to make education free for all children for the entire first 12 years of school, and to issue clear guidelines so that states can easily access the funds provided by the federal government by September 2019. YHA will partner with key civil society organizations and non-government organizations currently working on the UBE Act to petition the House of Representatives to expedite the amendment of the bill, to strengthen tracking of UBE funding and allocation, and to advocate with key policymakers like the Speaker of the House of Representatives, members of the House of Assembly, and the UBE Executive Secretary to amend and pass the UBE Act to include free education to children for the first 12 years of school by September 2019. This proposed project could potentially lead to an additional 10.5 million children, more than half of whom are girls, re-enrolling in schools across Nigeria, helping to close the gender gap and improve opportunities and employment for girls in the future.